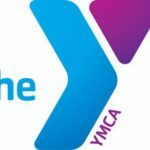 The YMCA is looking for a part-time (25-29 hours/week) Site Coordinator to take the lead at it’s Van Buren Elementary School location in Cedar Rapids. The Child Care Site Coordinator is responsible for developing, organizing and implementing high quality child care programs, both during the school year as well as during the Summer. The ideal candidate will be a model for the YMCA’s core values of Caring, Honesty, Respect, and Responsibility. Apply online following the link provided below. Please submit your resume and 3 professional references. A minimum of three semester hours or equivalent quarter hours of coursework in administration, or one year on the job business-related experience in one or a combination of the following: finance, personnel, supervision, record keeping or budgeting. Valid First Aid & CPR certification for infants, children, and adults. Associate’s degree or two years of a four year degree in child development, elementary education or a related field or comparable education. Two years’ experience in a child care facility. Ability to pass background screening is required. Experience in recruiting, hiring, and supervising staff. Work experience in the area of education, counseling, and/or childcare. Weekdays at the Site: 6:30 a.m. to 8: 30 a.m. and 3:00 p.m. - 6:00 p.m. Additional hours to be used for program tasks and administrative work.